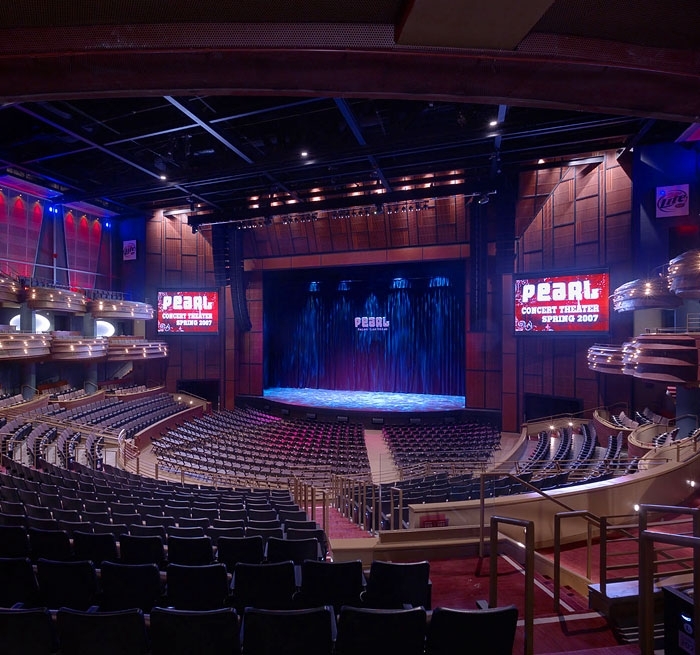 Part of the Palms’ $600 million expansion, The Pearl was designed specifically for rock music in the style of a traditional large performing arts center theatre. Working closely with the architect to develop plans for the stage, backstage facilities, and audience chamber configuration, Auerbach Pollock Friedlander was the theatre designer for the project, and also advised on the rigging systems design. One of the greatest design challenges facing the project team was fitting the required theatre and support spaces into the limited space within the Palms’ existing hotel towers and below the ballroom/meeting room complex. 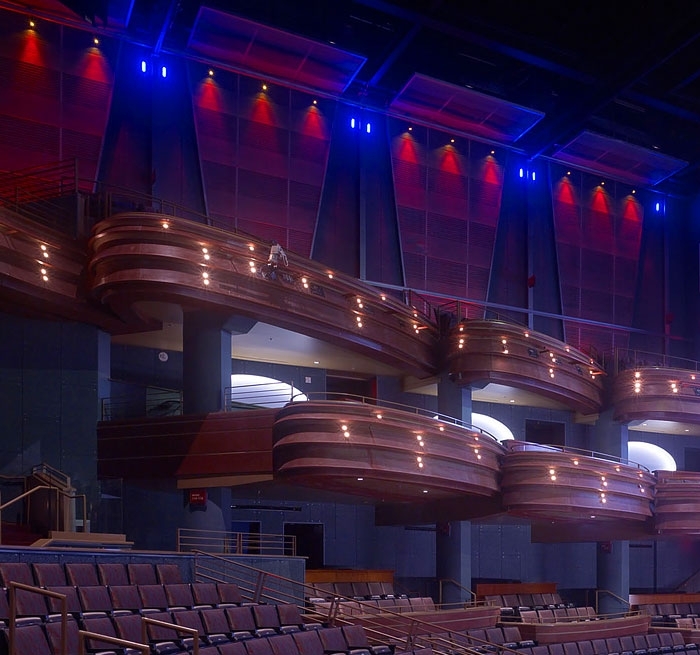 The result is an unusually intimate, yet comfortable and flexible venue, with seating ranging from 1,124 to 2,500. 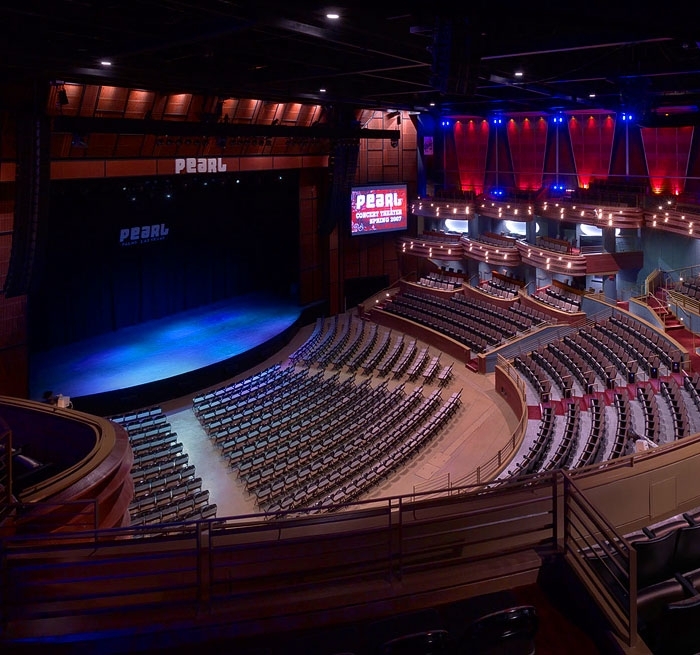 Steep sightlines and reduced viewing distances, where no seat is obstructed and no patron is ever more than 120 feet away from the event onstage, allow for excellent viewing of the flat floor seating area, which has potential for extended playing zones, runways and mixed martial arts fight rings. Quick removal of stack seating into adjacent storage allows for rapid changeover of events. Access for rigging over the flat floor takes a cue from the arena business where high steel and chain hoists afford riggers great flexibility.